There are currently 93,488 users on this website. 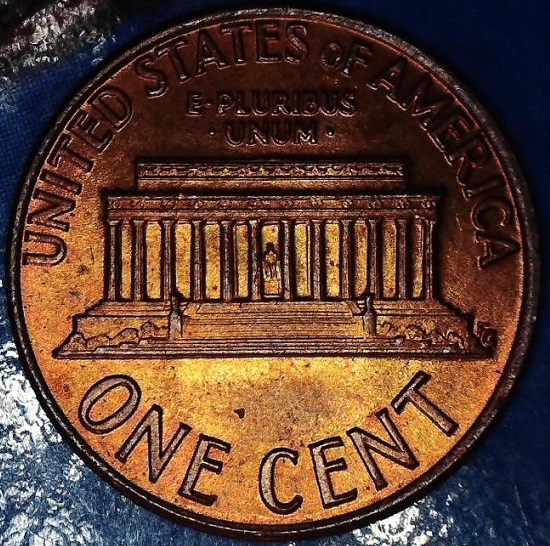 1974 Lincoln Memorial Penny Obverse We Trust Letters. What is going on with the motto lettering, most notably the E in WE? 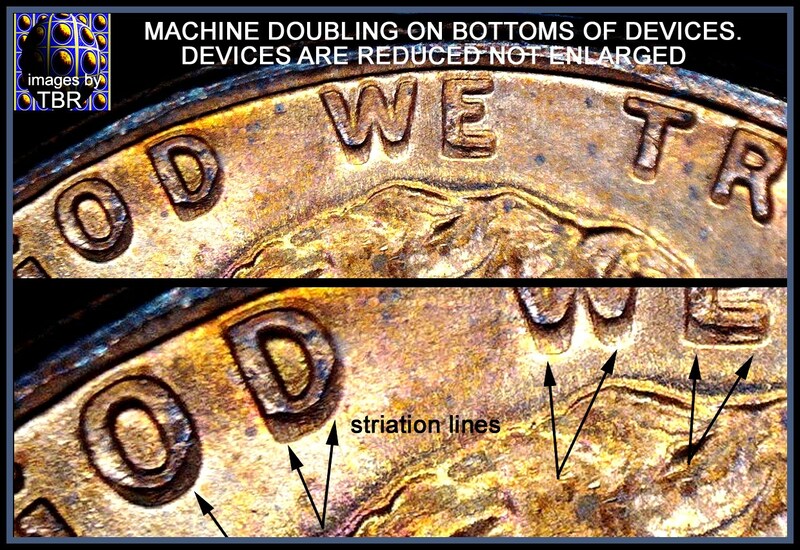 Looks like it was struck with a worn obverse die. 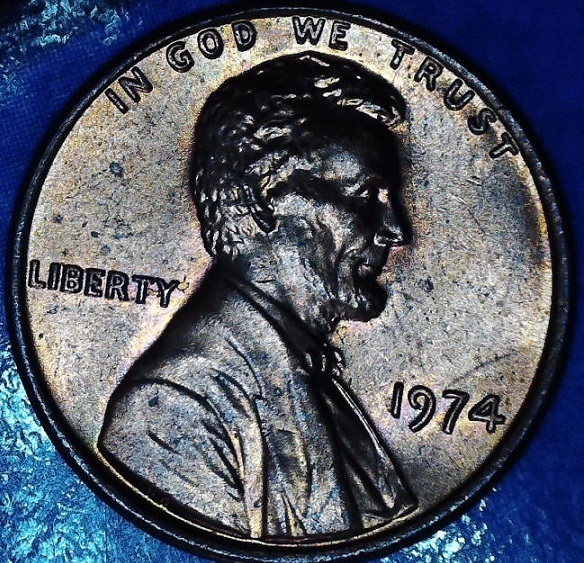 1974 does have a few nice doubled die varieties particularly on the motto and part of date but yours isn't showing the characteristics. There are several threads about the 74 and 74 D die varieties in older posts, their are some good photos you can check out for comparison. Looks like MD on the lower parts of the letters and a hint of die deterioration doubling on the tops closest to the rim. That is Machine Doubling. How can I tell? The bottoms of the devices on the motto. You can see striation lines there, so it is from die movement after the strike.